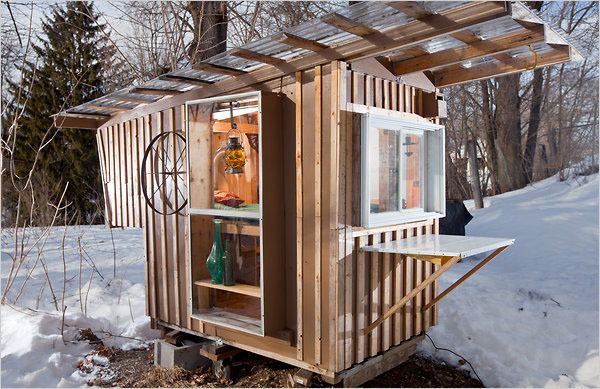 This microhouse in Stoughton, Massachusetts built by Derek Diedricksen is a micro-shelter made out of scavenged materials. The tiny house, called the Gypsy Junker, is put together with shipping pallets, discarded kitchen cabinets, old washing machine and old windows. The transparent roofing allows a great view of the treetops. Diedricksen also built a small series of tiny structures in his backyard. The total cost of building is about $200 a piece.